Ouch! – that fun day at the beach has turned into a painful evening at home nursing a sunburn. Sunburn is a serious matter. Research has shown that even one serious sunburn can increase the risk of skin cancer. The effects of sun exposure have worsened over time as the Earth's ozone layer has depleted allowing more harmful rays to break through. The result is a rapid increase in the incidence of skin cancer. Prevention is of course the best remedy, but sometimes despite all of our preparations – sunburns happen. When they do, it is very important to treat them right away by giving your body what it needs to heal and repair the damage. Prompt and thorough treatment can reduce the risks of long-term damage. What follows are the most effective home remedies to treat the burn, heal the skin, and reverse severe skin damage. After a sunburn, the body requires certain nutrients to carry on the process of tissue repair. Be sure to eat foods high in lean protein after over exposure to the sun. Proteins are used to build and repair tissue and are essential when the body is healing. Fresh fruits and vegetables supply the needed vitamins and anti-oxidants used to repair the skin and prevent the formation of cancerous cells. Eating an abundant supply of raw, fresh produce will ensure you get the most nutrition from your food. 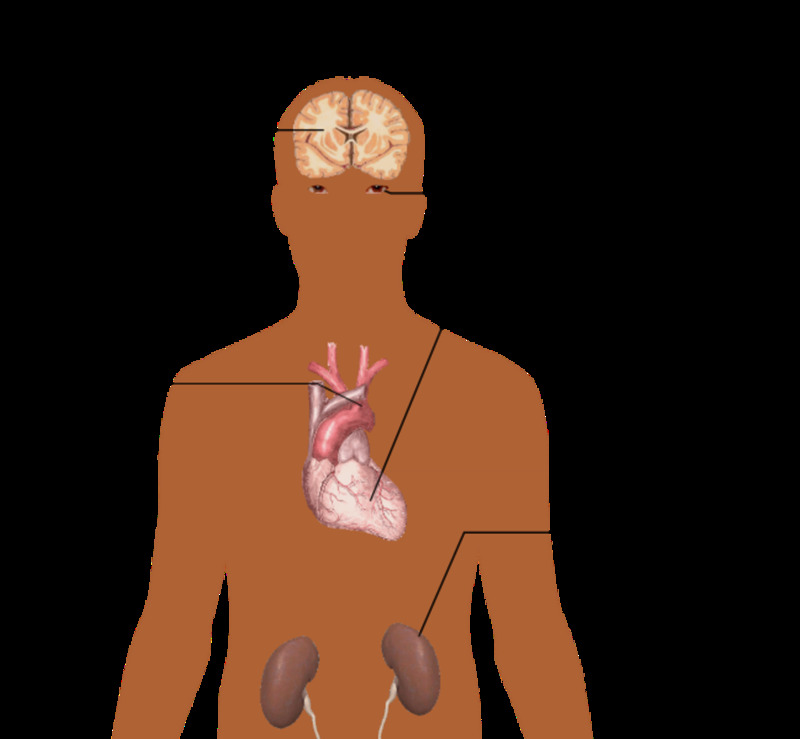 Many enzymes and other vital nutrients are lost through cooking. To get the most skin benefits enjoy a tray of raw veggies and fruits. Juicing can be a great way to get all of the phytonutrients and antioxidants you need to repair the skin and reverse damage. Sunburn often leads to dehydration. Drink plenty of water and reduce or eliminate caffeinated and alcoholic beverages until the burn heals. Healthy skin has a high water content and this is depleted rapidly with sunburn. Hydrating the skin externally with lotions is not enough. The body requires an abundant supply of water to nourish the skin and help the damaged cells repair themselves. Beverages like soda, tea, coffee, and alcohol can aggravate a sunburn and slow the healing process because they are drying. Once again, juicing can help here as well. Not only are getting the vital nutrients, you are also increasing your fluid intake in a healthy way. Most people only worry about sunburns when it is warm and sunny, however it is possible to get badly burned on overcast days that are cool. In fact, it's more likely, because you won't tend to feel your skin burning as quickly as you do when it's hot and sunny. Be sure that even on those gray, cool, spring and autumn days you prepare yourself. I've learned this the hard way more than once! Aloe Vera gel is very effective for soothing burns and repairing damage. Aloe straight from the plant is the best because it is the most potent. Store bought versions may contain alcohol, colorants, paraffin and other skin irritants. To apply aloe straight from the plant, peel back the skin of the leaf and apply a thin layer of aloe from the pulpy area to the skin. Repeat hourly as needed until the pain is gone. If you don't have access to fresh Aloe be sure to buy 100% pure aloe with no additives. Herbs that are effective for treating sunburn are calendula, chamomile, comfrey, and lavender. Comfrey and calendula are particularly effective at healing skin irritation and preventing infection. In the summer months I always prepare a comfrey and calendula oil to keep on hand for minor burns, stings, and mosquito bites. It is very simple to prepare and works much better than store bought products. Fill a sterile jar full with a blend of fresh comfrey leaves and dried calendula (marigold) petals. Add olive oil to fill the jar and seal tightly. Store the mixture in a dark, room temperature area and mix it by gently shaking the jar twice a day for 3 weeks. At the end of the 3 weeks strain the fluid, placing it into another sterile jar with lid and discard the herbs. Add some liquid vitamin E oil if you wish. Vitamin E is also healing for the skin so it is the perfect choice to use as a natural preservative. The oil can be applied to irritated skin once or twice a day as needed. Replace the oil every few months. You can also use my recipe for Comfrey salve which works very well for healing those little blisters that sometimes pop up after a burn. Comfrey leaves can also be made into an infusion used for poultices. Boil fresh comfrey leaves for fifteen minutes. Allow this to cool naturally (don't refrigerate) and then soak gauze or other clean white cotton material in the fluid. Wring out gently and apply loosely to the burn letting it sit on the skin for at least 15 minutes. Another recipe that works well for quick relief of sunburn is an herbal bath. Add one cup of baking soda, 6 cups of freshly brewed chamomile tea and 10 - 15 drops of lavender essential oil to a tepid/warm bath. Lavender soothes the soul and the skin and is used often in aromatherapy to induce relaxation. Lavender is also used in many natural bath products because it benefits an array of skin conditions from sunburns to eczema. Chamomile also has skin soothing properties and can help reduce pain. Don't bathe in hot water until after your burn has completely healed and stopped peeling. Hot baths are always hard on the skin – especially the new tender skin that appears after a sunburn has peeled. There is a lot of mass hysteria about skin cancer that has gone way overboard. Yes, overexposure to the sun can cause problems, but non-exposure to the sun is far more dangerous for your health! The body needs natural sunlight to absorb and synthesize vitamin D. Vitamin D is essential for most vital systems in your body to function properly! Although you can get D in supplements it is NOT the same form of D you get from regular, moderate sun exposure. Moderate sun exposure will also protect you from skin cancer! As your skin gets a gradual, light tan it becomes more resistant to cancer. 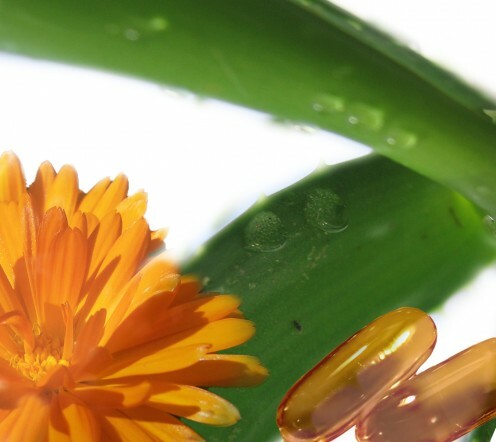 Vitamin E capsules can be opened and the oil applied directly to the skin. Vitamin E is an anti-oxidant that promotes healing and helps prevent cancer cells from forming. Continue eating fresh, raw fruits and vegetables to give your body what it needs to fight damage from free radicals. Drink freshly brewed green tea. Freshly brewed green tea is high in flavanoids. The catechins in green tea have been shown to prevent cancer and fight free radical damage. Drink 2 -3 cups per day for the most benefit. Moisturize the skin regularly with natural products. Avoid the chemicals found in most store-bought lotions. Visit a nutrition center or look online for natural skin care products that are free from petroleum, paraffin, parabens and other toxic substances. Lotions are also easy to make from scratch and recipes abound online. Natural is better. Does your skin get really dry and irritated after sun exposure or a burn? If so, try taking turmeric as a supplement. You can also add the yellow powder directly to coconut oil and apply it directly to any heavily irritated or dry skin patches.Mix a bit of the yellow powder with a dab of coconut oil to form a paste and rub into the affected area. Caution is recommended since the turmeric can stain clothing and fabrics. You may want to apply it and then wrap the area in gauze and let it penetrate overnight. This remedy works amazingly well for a variety of skin conditions! I enjoy moderate amounts of sun, never enough to burn and I am perfectly healthy. I avoid the sun like a vampire - I avoid it so much I am actually starting to look like a vampire! Ah, I love gardening too so I totally understand. :) thanks for the read and comment. akeejaho yes cider vinegar is a good one - thanks for adding that :) It does cool the sting a bit. Oh, yes, good one Akeejaho. Apple cider vinegar is a great tonic for certain types of skin trips. Two more natural products to add to the arsenal are Epsom Salts, and believe it or not, apple cider vinegar, both very cleansing and soothing in the presence of blistering. I found this out one year while bass fishing in South Carolina. Added to the bath, it seems to draw the sting out as well as the heat. My grandmother used to swear by wet (cold) tea bags for sun burn. I do love to garden and hike though and although I don't get burned often, it does sometimes sneak up on me. Thanks for commenting! Nice. I love aloe vera and have a Monster plant in my living room. It is taking over! I regret too much time spent on the beach, and for the past ten years have been tan-free. Even though i don't get burned often anymore, the tips are handy to know.